Saturn's main rings, seen here on their "lit" face, appear much darker than normal. That's because they tend to scatter light back toward its source — in this case, the Sun. Usually, when taking images of the rings in geometries like this, exposures times are increased to make the rings more visible. 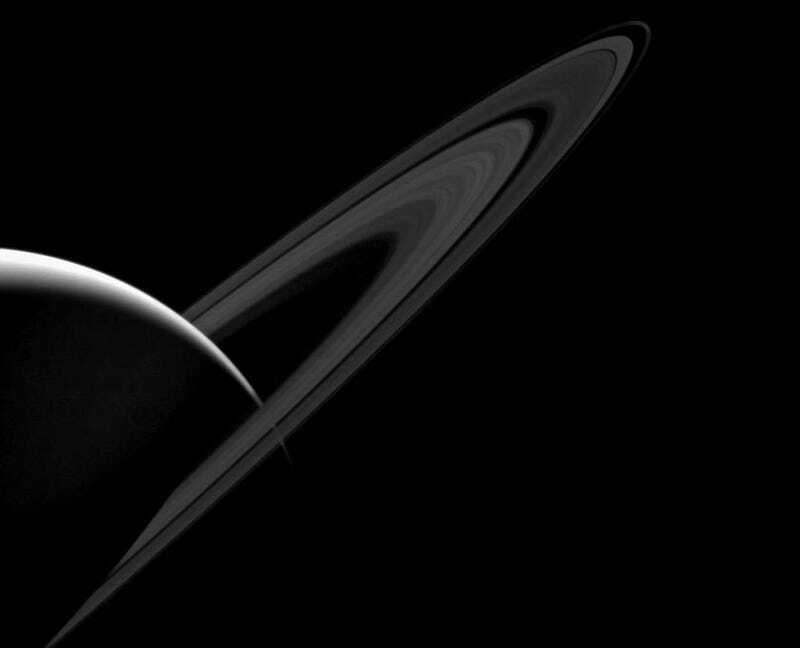 Here, the requirement to not over-expose Saturn's lit crescent reveals just how dark the rings actually become. Scientists are interested in images in this sunward-facing ("high phase") geometry because the way that the rings scatter sunlight can tell us much about the ring particles' physical make-up.